Eye-catching turquoise hooded pea coat trimmed with fur. Worn by our numbered limited edition Gotz doll Rosie, this eye-catching turquoise hooded pea coat trimmed with fur is the perfect item of clothing to draw attention to her eyes. 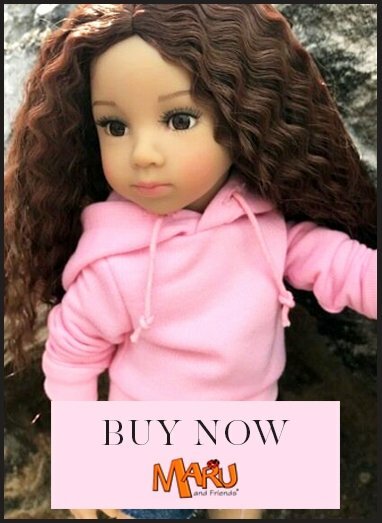 Doll, jeans and boots not included but available separately.